Haryana Staff Selection Commission (HSSC) has recently announced Constables and Sub-Inspectors recruitment in Haryana Police Department. 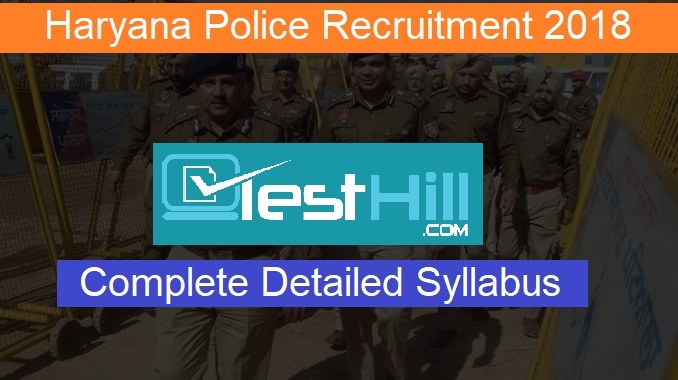 If you are preparing for Haryana Police Exam then you should know about its syllabus too. To make your preparation better, detailed syllabus is given below. This Haryana Police Syllabus will give you the list of topics, sub-topics, weightage, marks distribution, tips & tricks, shortcuts, etc. The Numerical Ability Section carries 10-15 Qs. To score more marks in quant it is very necessary to choose correct questions. To know more about Important Dates, Eligibility Criteria, Vacancies and other details of Haryana Police Recruitment in detail.